Records state that the society began in 1913 but we did not begin performing until 1917. The year is 1917 and although the inhabitants of Heswall could have travelled into Birkenhead to see Florrie Ford at the Argyle Theatre, this did not provide the cultural outlet required. 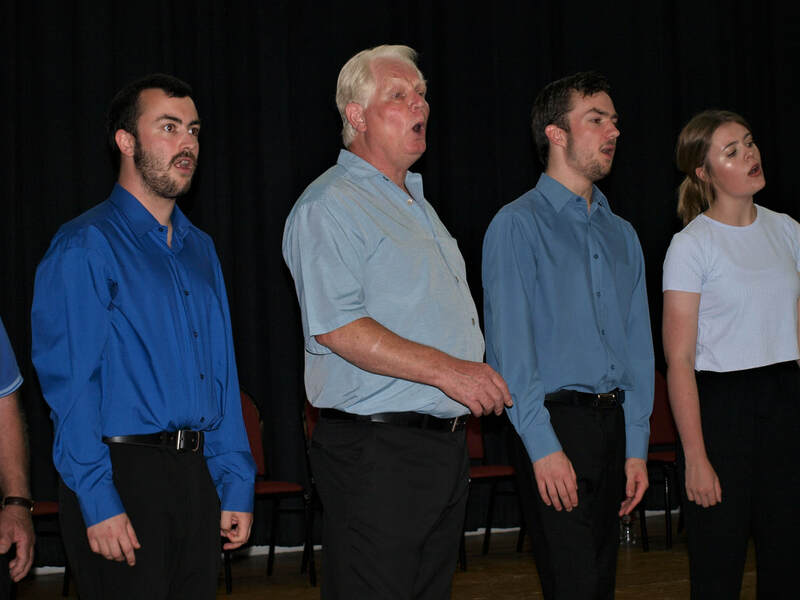 A group of like minded residents took matters into their own hands and the Heswall Amateur Operatic Society began performing. The first show to be produced was "Martha" in the Hotel Victoria. While we know that every year after they staged a Gilbert & Sullivan opera, our archives have no programmes or photographs until 1930 when we have newspaper reports of "The Sorcerer". It was interesting to note the principals were formally listed as Mr. Mrs. or Miss, while the programme also contained the delightful little comment "Every lady who removes her hat, shows a gracious consideration for those who occupy seat behind her". The Society ceased production during the War years until it reformed in 1951, which resulted in the staging of "The Gypsy Princess" in 1953 and shows such as "The Geisha" and "The Country Girl" were being staged annually. In 1963 the production of "White Horse Inn" listed 48 patrons and 11 vice presidents while the Chorus was graced with 28 ladies and 24 men plus the band of the Cheshire Yeomanry. In 1964, the Little Theatre, Birkenhead was used for the production of "The Quaker Girl" and it was followed by some of the more lavish shows - "Tom Jones", "The Merry Widow" and "Die Fleidermouse". It was possible to hire scenery and costumes for all these shows only because the large membership and many patrons generated a substantial income. Now, however, other operatic societies were being formed and understandably people enrolled in the one rehearsing nearer their homes, while Principals by now had become a nomadic breed, wandering from company to company, depending on the parts offered. In 1974 Amateur was dropped from the title and a Music Hall type of entertainment was offered in the Autumn of 1974 in addition to the main Spring show. This had the double advantage of being royalty-free and also gave the chorus members a chance to go solo. This is still the pattern of our shows today plus some charity events, carol concerts and pantomimes nearer to Christmas. Our more recent shows have included "Oklahoma", "Annie Get Your Gun", "The Boyfriend", "Calamity Jane", "Guys & Dolls", "Viva Mexico" and "My Fair Lady". In 2010 we performed The Argyle Remembered for the second time and we paid tribute to the likes of Vesta Tilly, Flannagan and Allen, Harry Lauder and many other Music Hall Greats. Songs that we featured included Underneath The Arches, You Made Me Love You and Hello, Hello, Who's Your Lady Friend. We were featured on Granada Reports when we did the show and they came to film us in our costumes at the Gladstone Theatre where we sang some of our songs from the show. One of our members was interviewed where the Argyle Theatre once stood which is now used as a car park in Birkenhead. Check out our video of when we featured on Granada Reports on the video page. In 2018 we changed our name to Heswall Musical Society.